This prayer praises God in the face of profound loss. Does it matter that the author’s parents were lost to her even while they were still alive? I’ve always been a bit ambivalent about observing my parents’ yahrzeits. For one thing, neither Mom nor Dad had the temperament for traditional ritual observance — and they were skeptical, even scornful, of those who did. Already a subscriber? Log in above to keep reading. Or subscribe now for immediate access to the complete digital and print editions, plus exclusive online access to Lilith's back issues. This Scandinavian socialist embraced her boyfriend’s NRA-supporting, right-wing Orthodox family when she converted to Judaism. After her 25-year marriage comes unglued, her Jewish identity is what sticks. Thank you for this article. I too have not quite made peace with my lack of grief over my mother’s passing. My grief is for the missed potential, what could have been had she been a different kind of woman. My father is almost 93. We have no relationship by choice on both our parts. He too was an abuser. I often wonder if I will even be notified of his passing, and what I will feel when this day comes. I struggle every year with the question of a yarhzeit candle for my mother. 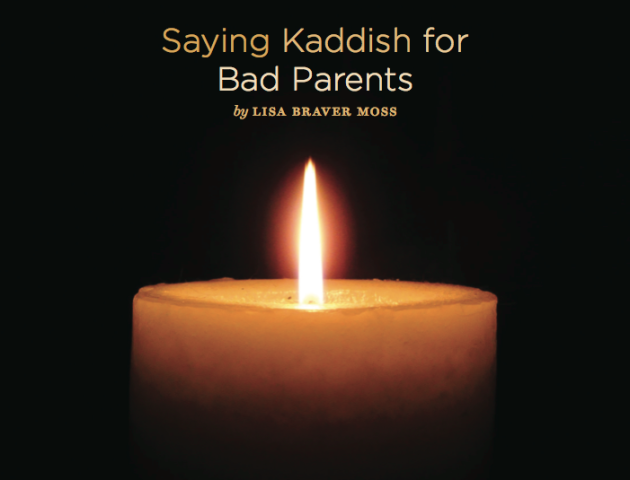 I question the validity of saying kaddish. How do you honor a parent who never honored you? It has taken a lifetime of therapy to recover from the wounds inflicted by my parents. I appreciate the mediation you have included by Rabbi Saks. I too pray for a release from bitter feelings.